Learning Spanish at Spanish Class in Minnesota. Advanced Low: with some new grammar items. Spring 2, 2018: Tuesdays, 7:30 pm. 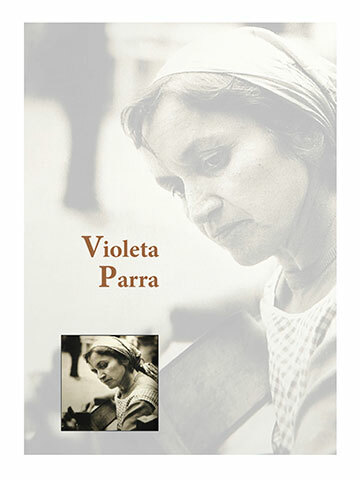 Violeta Parra (1917 - 1967), a Chilean, is a giant Latin American cultural icon. Violeta Parra was a composer, songwriter, folklorist, ethnomusicologist and visual artist. For a reference, some people have compared her with Bob Dylan. She pioneered a renewal of Chilean folk music The Chilean new song in the sixties, expanding her still lasting influence throught all Latin America and Spain. Like many other women she had to struggle against patriarchal, gender and social class obstacles; not to mention poverty and disease. Her story is an example of endurance, courage and strength. She was affected by the roaring times in which they lived and, at the same time, she deeply contribute to shaping and changing them. In this class, we will explore the times of Parra, and listen to some of Parra's most famous songs. We will watch the movie Violeta Went to Heaven (2011) by Andreés Wood and we will read and discuss several articles about her. Yes. There will be some new grammar items: the Subjunctive Mood when talking about conditions and restrictions (provided that..., in case..., and so on) ... and a few interesting peculiarities of Chilean Spanish.